Those of us who work in family planning have an aphorism: Hope is not a method. That is excellent advice when it comes to birth control, and it applies pretty well to baking too. 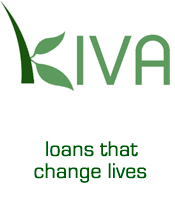 Think things through, have a plan, protect yourself from unintended consequences. 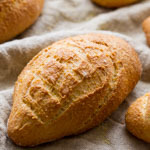 For example, one thing you might think about, if you have some yeast that’s sat in the refrigerator for a while, is to check the expiration date before blithely throwing it into some brioche dough that you plan to use for a rhubarb tart. This could go a long way towards protecting yourself from the unintended consequence of unrisen dough. When that sinking feeling hits after a romantic evening, Plan B might help. But for those baking moments when something makes its way into someplace you really wish it hadn’t, sometimes all you can do is hope. You can hope that that past-its-prime yeast has even just a little brio left for your brioche, just enough to give the tiniest lift to the lovely yellow dough. 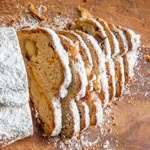 You can hope that that dough will bake into a tender, soft, cookie-like crust that is exactly the thing you didn’t know you wanted underneath your beautiful fresh rhubarb cradled by almond-ginger filling inspired by La Tartine Gourmande. If you’re feeling particularly bold, you might even dare to hope that you end up with a dessert that is not merely acceptable but quite good if you do say so yourself. You just keep your fingers crossed all the way around. So I got lucky this time. But remember, luck can run out at any time. Really, hope is not a method. Please practice safer baking. Mix and ferment a 300-gram ball of brioche dough overnight. Make sure your yeast is old and tired. 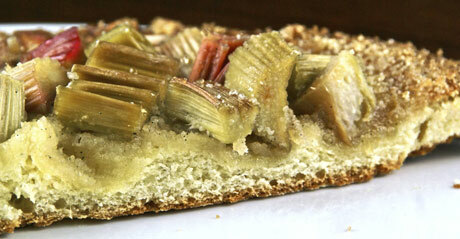 An hour before you will roll out the brioche crust, toss the rhubarb chunks with 1/3 cup of fine sugar. Place in a colander over a bowl and let it rest and drain for a total of about 3 hours (so it will be ready when the crust has finished (not) rising). 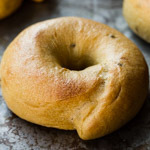 On a lightly-floured counter, roll the cold dough out into an 11-inch circle. Transfer it to a parchment-lined baking sheet. Brush it lightly with egg. Cover the dough and let it proof for 2 hours at about 80F. It should not look risen and will feel minimally puffy. Meanwhile, preheat the oven to 400F, with a rack in the center. Toss the almond flour, vanilla bean seeds, crystallized ginger, and 2 T. of the brown sugar together in a bowl. Mound the mixture in the center of the crust, leaving about a one-inch border. Toss the dry rhubarb with the remaining 1/4 cup fine sugar. 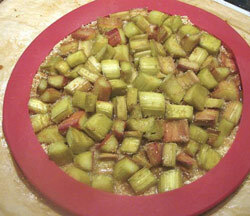 Press the rhubarb chunks into the crust filling in a single layer, crowding them as close together as you can. Brush the unfilled crust rim again lightly with egg, and sprinkle the entire tart, including crust, with the remaining 1 T. brown sugar. Once the tart is in the oven, turn the heat down to 380F. Bake for about 30 minutes, until the rhubarb is soft and starts to release its juice. Cover the crust edge with foil or a pie crust shield for the last 10 minutes if it is getting too dark. …walking into the doctor’s office, pharmacy, post office, wally’s…just take your pick. But, as you walk in to the lovely photo moment you are transcended into the face of a reality that needs attention. Serious attention. Go for it. Do it. Submit it. JUST DO IT! All’s well that ends well. I just checked the date on my yeast :). The laziest baker you know! But then, it’s only you can pull out something like this. Looks so delicious Susan, though I must admit that I never eat rhubarb before, I am tempted. I always am amazed when I have an unplanned kitchen event like this how good they still taste…most of the time. Lovely looking tart with all that rhubarb. 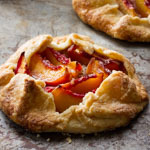 You got very lucky, I’d say–this tart looks totally delicious. You know, I’ve never had rhubarb! What does it taste like? I feel like this might border on pathetic. By the way, what a funny post! 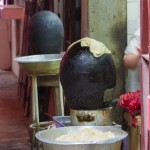 I love your advice to practice safe baking…hope isn’t enough (except for this time)! Oh, that’s one of my favorite spring ingredients! Your tart looks fantastic! I saw this beaut on tastespotting yesterday, nice photo! I’m glad everything worked out well for you! Way to remind me to check the expiration date on my yeast. Thanks for sharing that things aren’t always perfect in the kitchen, and the oops is where great creations can occur. Sometimes these make happy mistakes though. I once made sourdough whole wheat dough that didn’t raise. I simply rolled it out and made flat bread. It was super delicious and now I make them with unfed sourdough. This looks so good. I can’t wait for rhubarb season to start here! I’m making this as soon as they come out of the ground! Hysterical! The tart turned out lovely at any rate. Rhubarb is one of my favorites and it is not easily found in my area. It looks very yummy. I just checked the expiration date on my SAF Gold yeast in the refrigerator and it’s September 2005 (?!!) Three and a half years of aging should make it just the ticket for this wonderful confection of yours (or not…). I wish it came in packets because I so rarely use the stuff. However, one way or another I want to give this gorgeous spring tart a try. Entertaining post! Yes, good advice and it looks beautiful. So rustic with a big yum factor. Would NOT have known it wasn’t exactly as you’d planned if not told. 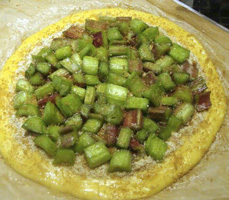 Looks delicious…almost like the best kind of rhubarb pizza, but better. Haha. That is so funny. However, if you think about it, so many things that are commonplace now were created in just the same way. Here’s to happy mistakes! You are undeniably a renaissance woman! Your knowledge and wisdom and experience of the world(s) is woven so beautifully together in your writing. 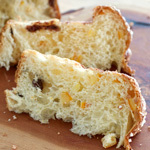 And best of all–the brioche was truly delicious and perfect. Great discovery–that yummy brioche and vintage yeast. My old yeast foibles are never this tasty looking. 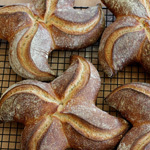 BTW, if I decided to make this and all I have is GOOD yeast… should I just leave it out, or only use the tiniest pinch? Have you made this since then with good, active yeast? SulaBlue I think this would be great with the full amount of yeast too, but if you want the crust I got then I’d recommend just a small pinch of fully-charged yeast. Can you recommend a good pie crust shield- particularly if they can fit more than one size pie?? How about making this dough using tired old sourdough starter? It’s such a waste to toss it when refreshing the barm. Has anyone tried this? 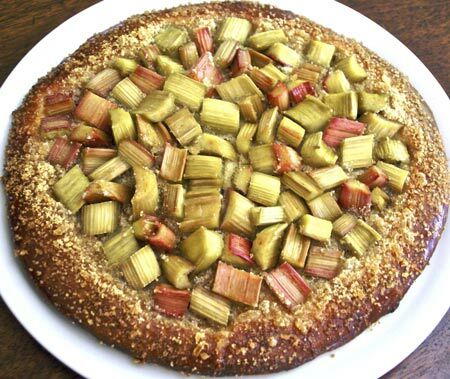 😮 I have never heard about making tart with rhubarb 😮 Thank you for sharing the recipe. Gonna try it soon!